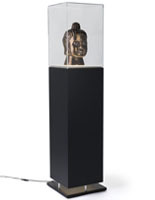 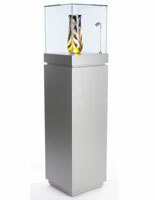 This metal-look pedestal showcase with ambient lighting is perfect for any museum or retail location. 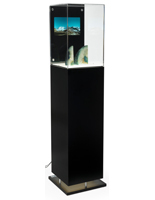 A clear acrylic enclosure snuggly fits onto the base of this display case, keeping its contents safe and free of dust. 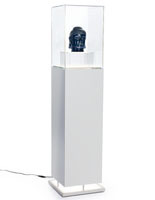 The pedestal showcase with ambient lighting features LED bulbs which will accentuate details, as well as draw people in. 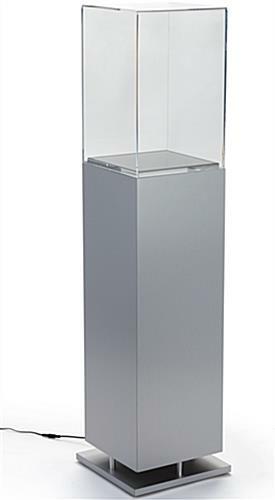 This contemporary display case boasts a beautiful and stylish brushed finish and sleek lines. 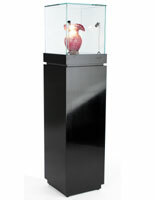 LED illumination spills out of the base, adding to the intrigue of what they will find when they look inside. 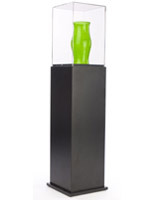 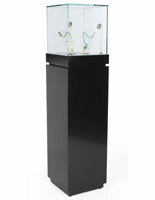 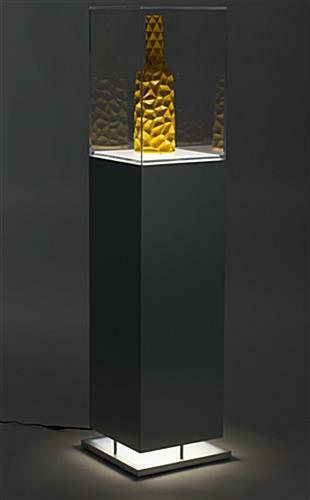 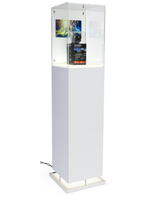 Adding this beautiful pedestal showcase to your museum or retail location will be a game changer!